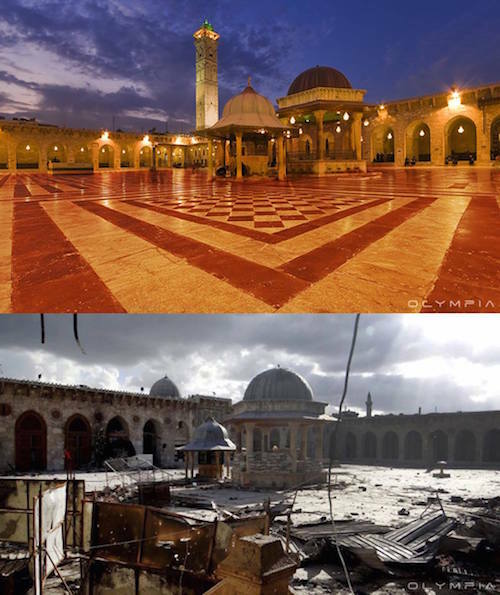 What will it take for us to reignite our passion for peace and humanity? 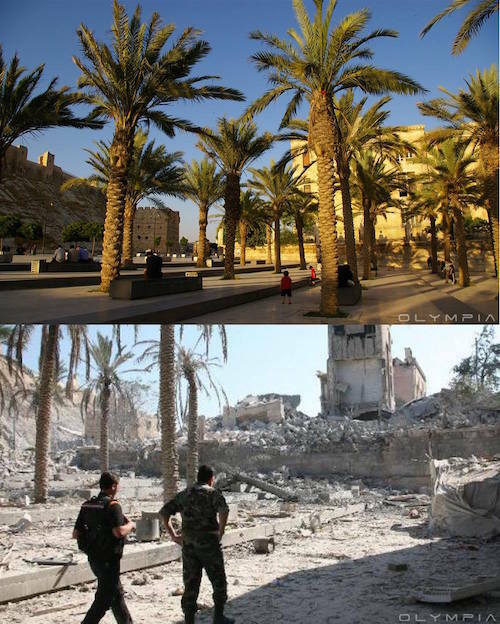 What will it take to shock and awe us into shutting down the dogs of war? 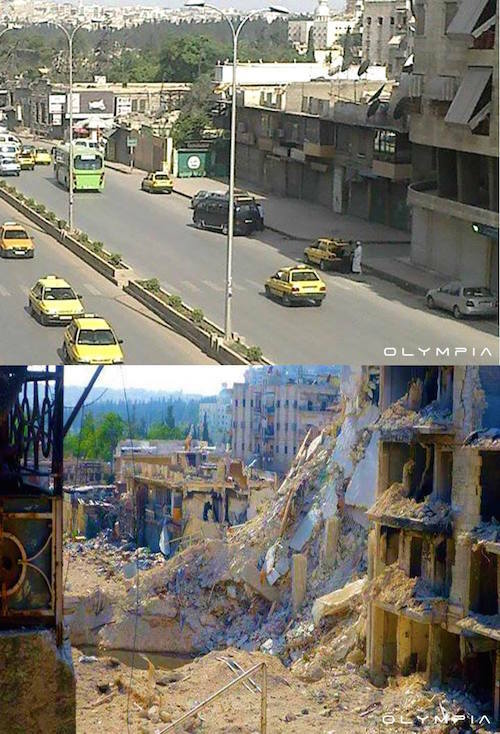 How much more death and destruction do we need to see? 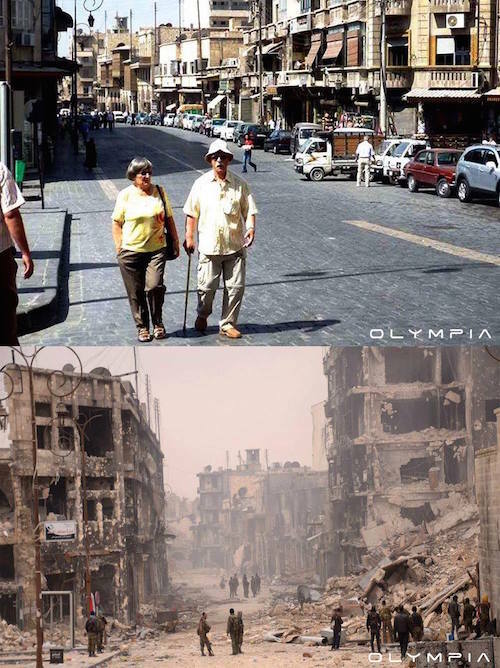 How many more dead and mangled children need to be rolled out onto the front pages of international papers? 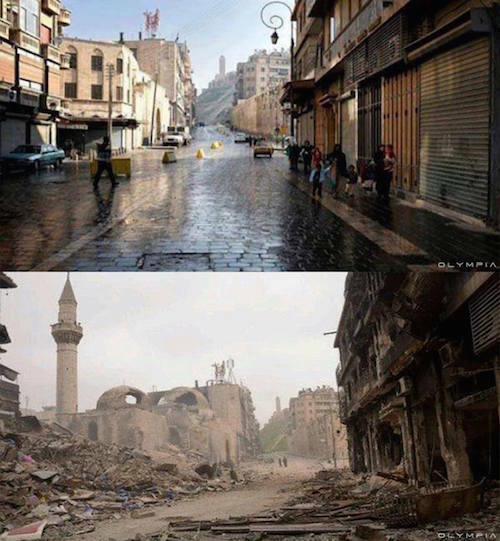 How many more refugees must we create before we unite and demand an end to the madness? 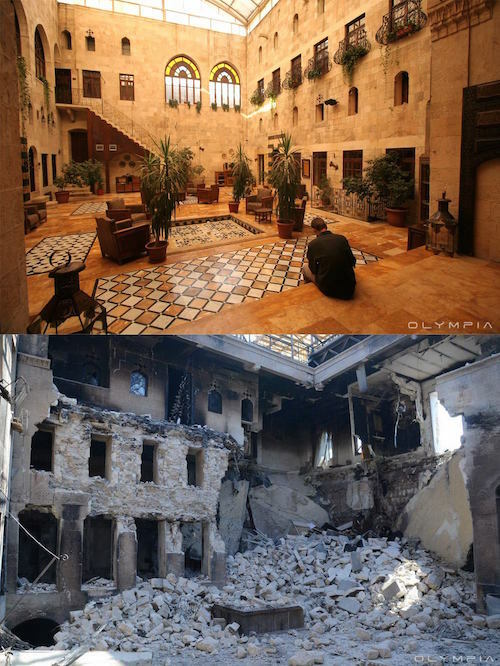 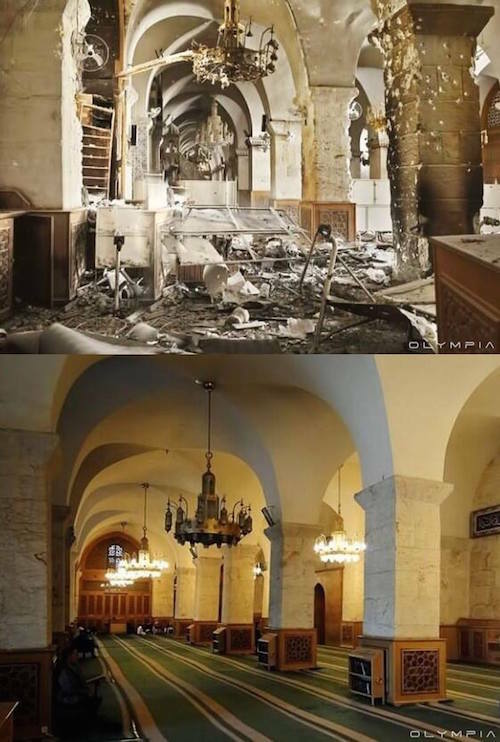 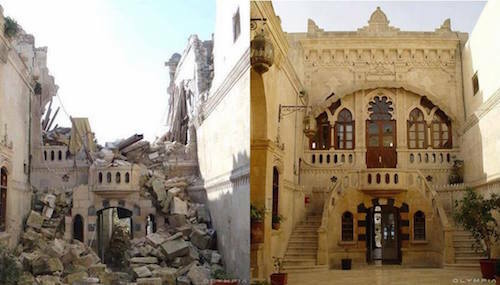 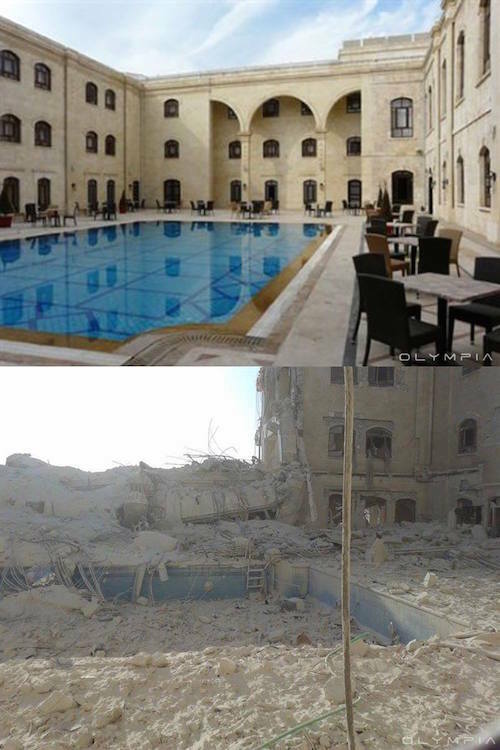 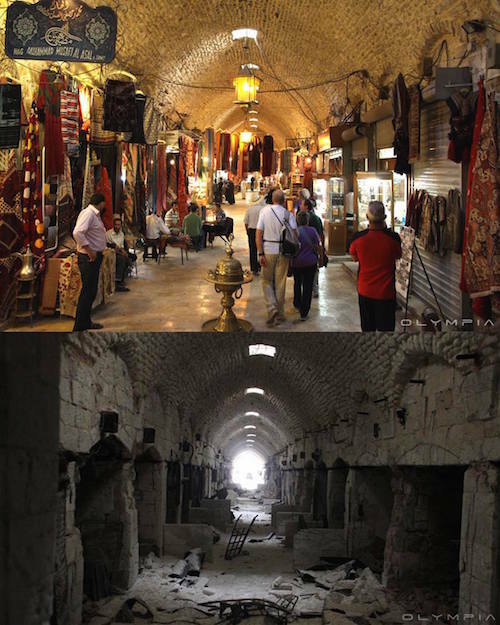 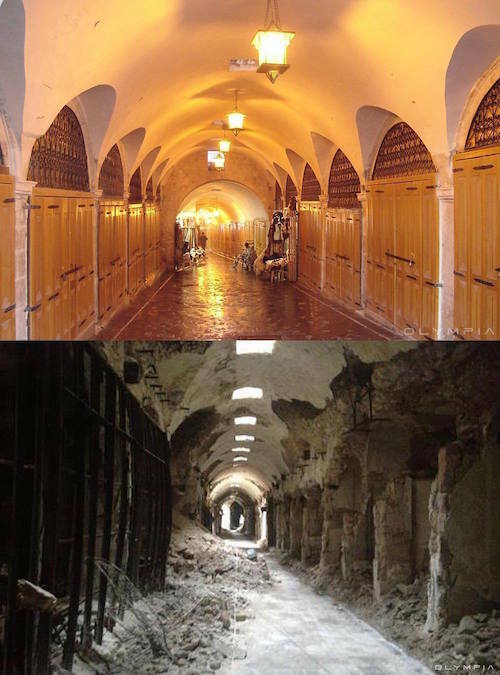 Olympia Restaurant in the embattled Syrian city of Aleppo has compiled an extensive collection of before and after photos documenting the tragic destruction of this ancient metropolis of architectural and cultural treasures. 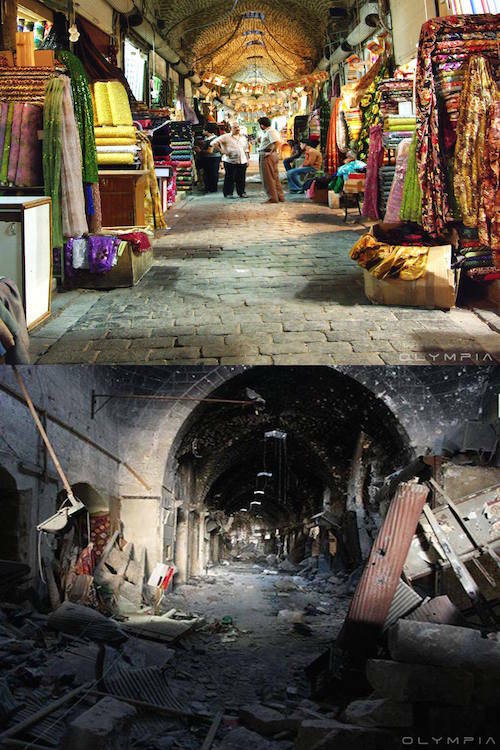 A look through this file is a voyage through pain, suffering, cruelty, and the mindless horror of war. 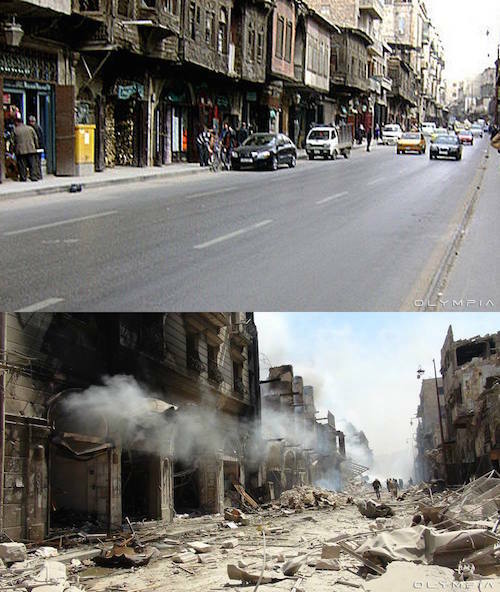 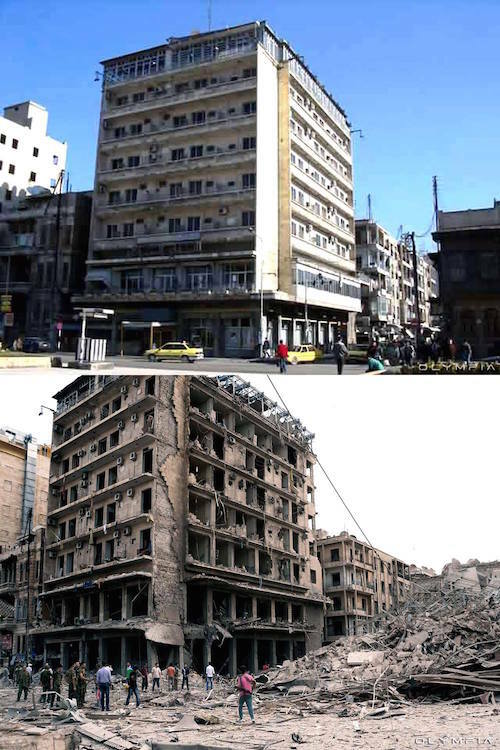 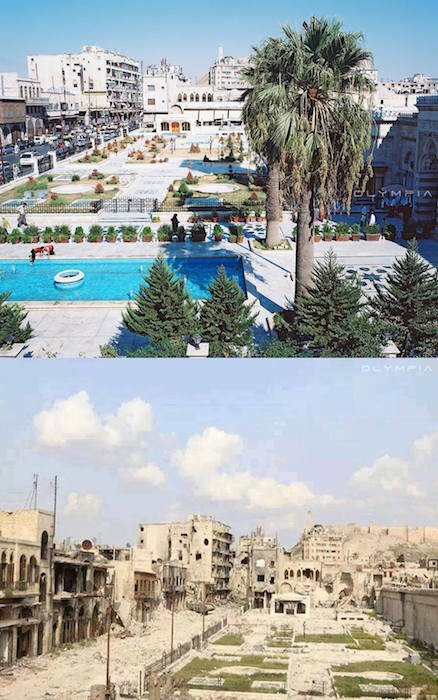 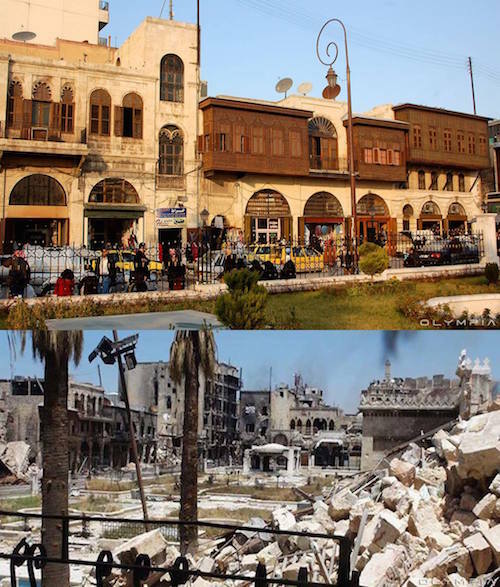 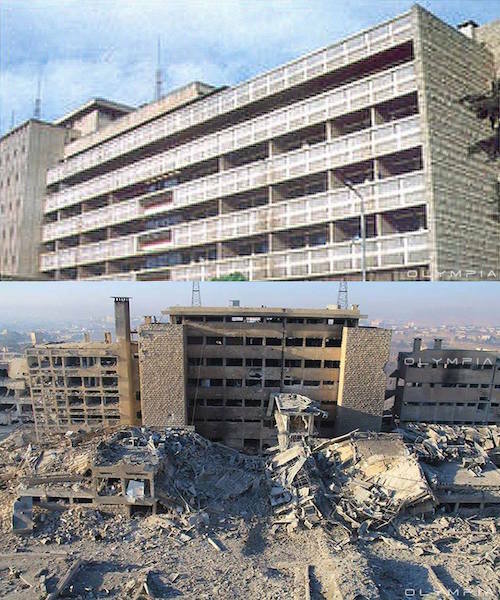 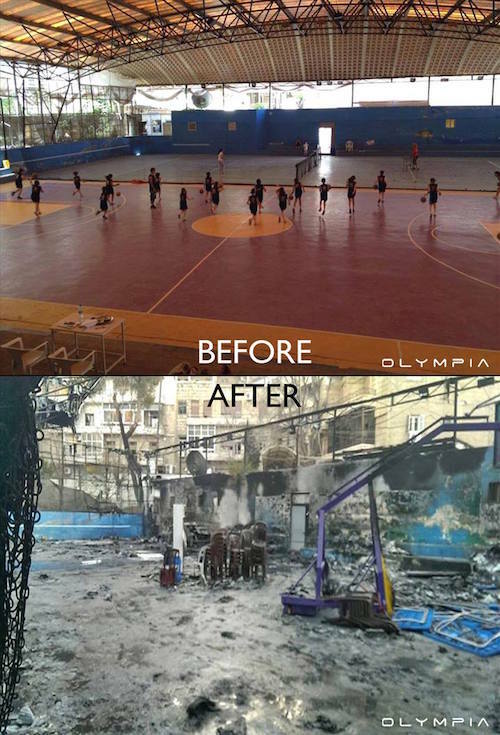 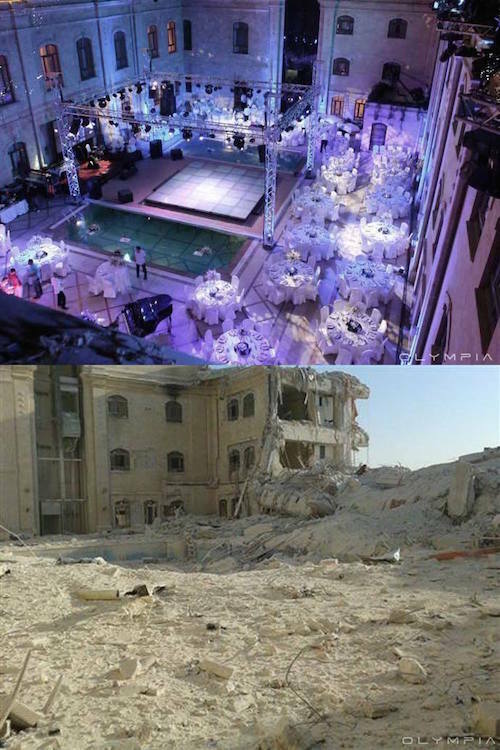 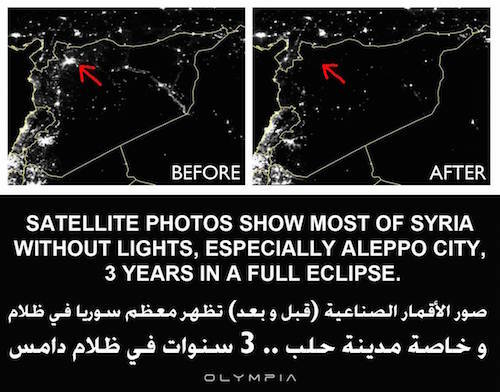 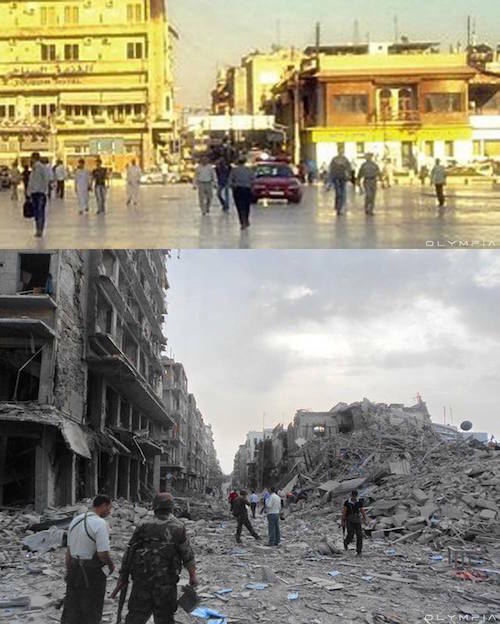 This article ([Photos] Before & After in Aleppo and Why We Need an Antiwar Movement) was originally created and published by Waking Times and is published here under a Creative Commons license with attribution to Dylan Charles and WakingTimes.com. 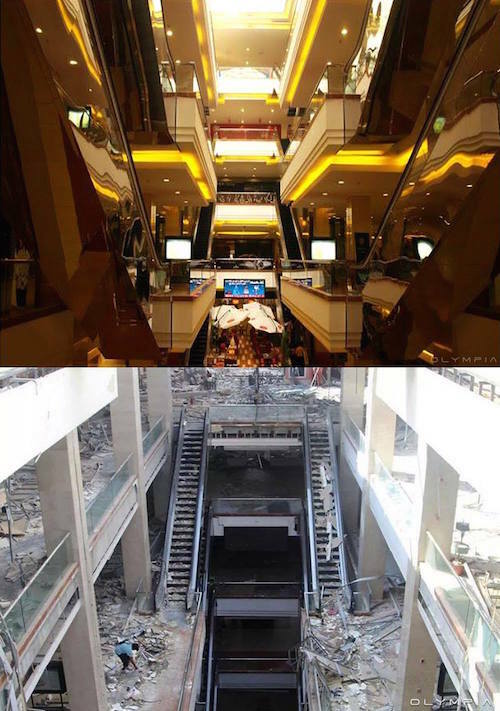 Next Post Hypnotized Woman Speaks With Her “Greater Consciousness” Revealing SHOCKING Truth About The World!